“Baltimore & Potomac Railroad bisects the National Mall,” Histories of the National Mall, accessed April 23, 2019, http://mallhistory.org/items/show/166. 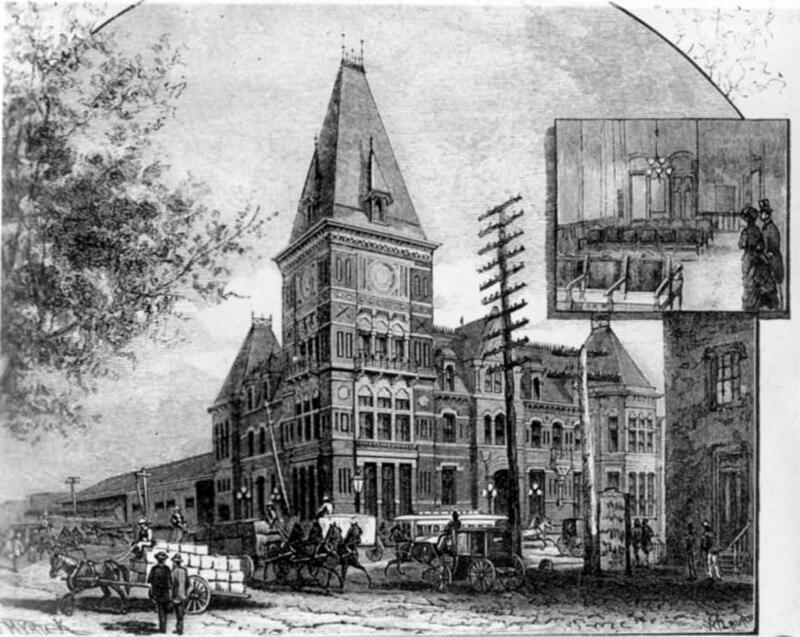 In 1872, the Baltimore and Potomac Railroad Station opened near the Capitol, crossing the parks and lawns of the National Mall. The first train departed at 5 a.m. on July 2 with sixty passengers. 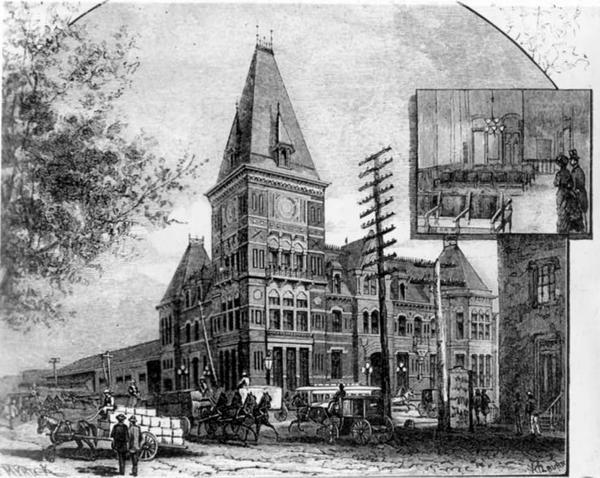 The depot buildings were opened in 1874. The presence of the railroad on the Mall was controversial until it was removed in 1907. Although the Mall was barely developed when the railroad arrived, some argued that the noisy, dirty, smelly steam-driven locomotives would ruin the landscape of the park. Others believed that the Mall could accommodate both technology and nature and that the railroad represented progress and economic growth.